In Comberford – but had I found the family’s origins? Former journalist with The People newspaper, Wexford and the Foreign Desk at the Irish Times, but currently a lecturer at the Church of Ireland Theological Institute, [Canon Patrick Comerford] spoke at our open meeting held on Tuesday 10th February. The title of his talk was ‘The Comerfords in Ireland: Disentangling Myths and Legends to Find True Origins’. It was an excellent lecture and for those not fortunate enough to be present there is a transcript of this talk on Google by keying in Patrick Comerford and the lecture title. From his experiences separating myth from reality in the Comerford family history he makes a chastening comment which genealogists would be well advised to remember: ‘There is a good rule for historians: seek primary sources. And it is a good rule for genealogists to seek to trace your family tree for yourself. Do not accept as fact anything you have been told without seeking to test and verify it’. He arrived at this conclusion when seeking to test a history of the Comerfords published privately in 1902 by his great grandfather which had claimed a link with the town of Comberford, near Lichfield in Staffordshire. This theory had no basis in evidence and another suggestion that that they were of Norman origin, arriving in England with William the Conqueror in 1066 and to Ireland in 1189 was equally fanciful. These he considered romantic legends embellished over the centuries with no supporting evidence. Fanciful genealogies were common among the old English in the south-east. Kilkenny to this day is the heartland of the Comerford name, among them is the Kilkenny hurler Martin Comerford. He notes that early sources in Co Kilkenny refer to a Quemerford name, only becoming Comerford in the 15th century. 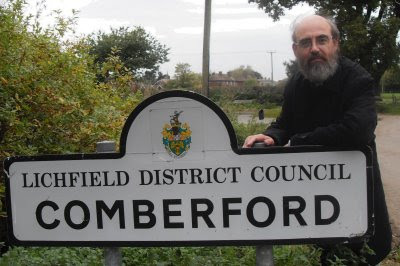 He has identified Quemerford in Wiltshire as most likely for the origins of the Comerfords and notes that it may not be coincidental that the name died out in England at the same time as it was first recorded in Kilkenny in the 15th century. Initially involved as managers and administrators for the Butlers the family prospered and branches were to be found from Galway to Cork, as well as Dublin. An important element in their success could well be that they managed to straddle the religious divide with representatives in the Catholic and Protestant camps.